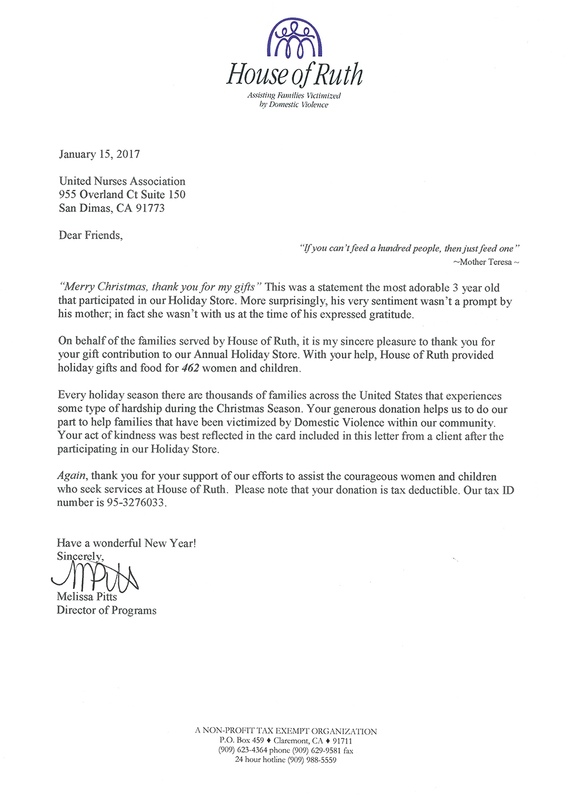 UNAC/UHCP affiliates held toy drives this past holiday season to benefit House of Ruth. With our help, House of Ruth provided holiday gifts and food for 462 women and children victimized by domestic violence. 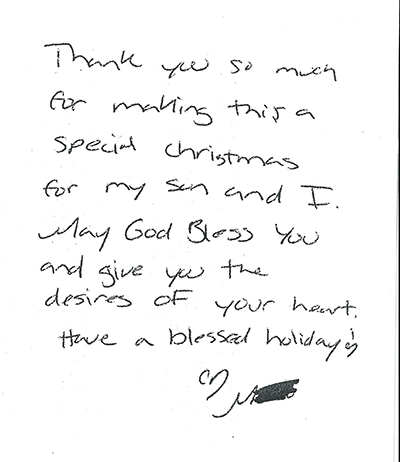 Earlier this month, the UNAC/UHCP state office received inspirational thank you notes sent on behalf of families served by House of Ruth. For the latest community service updates, go to the Community Service page.